Awarded as the ‘Garden of Excellence’ by World Federation of Rose Societies, Rose Garden is one of the largest rose gardens in India. 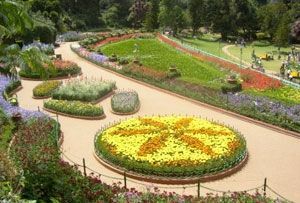 Located on the Elk Hill in Vijayanagaram of Ooty, the garden is a wonderland for nature lovers. You can have an enthralling view of more than 20,000 varieties of roses, collected from different parts of the world. Varieties include roses like Hybrid tea Roses, miniature rose, Floribunda, Ramblers, Yakimour and Polyanthas, which will leave you spellbound with their fragrance. Assembled in five curving terraces, the garden is maintained by Tamil Nadu Horticulture Department. Apart from colorful roses, the place is also popular for its angel statue.